The back of “Days of Blood and Starlight” by Laini Taylor is perfectly non-spoilerific. Other summaries, though? They can be pretty bad. I’ve been reading long enough to know that there are a lot of bad summaries out there: be they in the form of an incorrect literary reference (“It’s just like the Hunger Games except it’s not!”) or by adding in a romantic triangle that doesn’t exist (“Dru can’t choose between the boys… because she doesn’t care!”). But last week I have had the displeasure of reading a book whose summary has committed the worst of sins: spoilers. The offending summary can be found on the back of the UK edition of Patricia Briggs’ Hunting Ground – an absolutely amazing book, but one in which the action on the back cover did not take place until 2/3rds the way through the book. To make matters even worse, the summary spoils a major character death from the book*. WTF? View Spoiler »Anna Latham didn’t know how complicated life could get – until she became a werewolf. And now she’s not just part of any pack, but under the direct supervision of Bran, leader of the North American werewolves. And her mate is his son Charles, the pack enforcer. With all the advances that have been made in forensics, the werewolves will not be able to hide their existence from humans much longer – and Bran wants their coming out party to be on his terms. But his European counterparts don’t see things the same way. Anna and Charles are chosen to represent Bran at a key meeting. But when a French werewolf, one of Bran’s most vocal opponents, is found murdered, Charles’s reputation shoots him to the top of the suspect list. And among the wolves, there is one penalty for breaking the law: death. The killer must be found, or Charles will take the fall. Of course summaries are, by their very nature, bound to give away a certain amount of the plot. I understand that. I mean, even saying “Harry Potter is a wizard” is technically a spoiler for the first 4 chapters of Harry Potter and the Philosopher’s Stone. But that is to be expected. Saying “Harry meets Voldemort in this first book!”, however, is a spoiler I do not expect to find in my summary. And that’s what happens in Hunting Ground. Spotting this offender made me look back at the summaries for some other books I’ve read recently… and I found another sinner in the pack. This summary for Scarlet by Marissa Meyer not only manages to spoil the ending of Scarlet, it also sets up the plot of the third book, Cress! 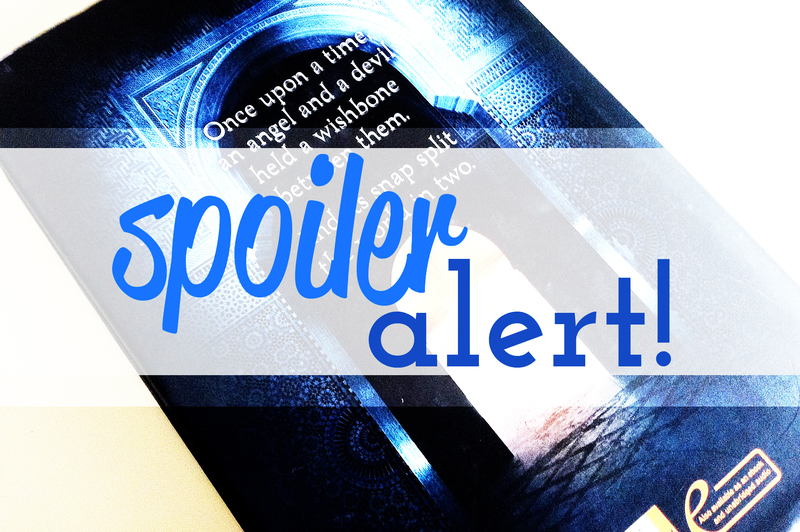 View Spoiler »This is not the fairytale you remember. But it’s one you won’t forget. Scarlet Benoit’s grandmother is missing. The police have closed her case. The only person Scarlet can turn to is Wolf, a street fighter she does not trust, but they are drawn to each other. Exactly what drugs were these publishers on when they thought these summaries were a good idea… and how can we get them to rehab? * It is worth noting that although this summary was on my edition, the US edition seems to have a much better one. Wow… that’s bad! I don’t usually remember the back of my books by the time I read them – so usually I never notice spoilers. Glad I don’t, having seen this!